MMORPGs are an acquired taste, but once you get the bug, you'll find yourself pulled farther and farther in until you finally stand before a gigantic boss, about to take him down. There are some great MMO bosses out there, and we've gathered eight of them into today's gallery. Each one is epic in its own way, and all of them are very memorable to those who took them on. Don't see your favorite boss here? Tell us who it is in the comments! The headline boss of World of Warcraft's Burning Crusade expansion, Illidan Stormrage awaited challengers high atop The Black Temple. The fight required that raid groups position themselves correctly, move at the right time, and switch healers and tanks in response to changing boss phases. 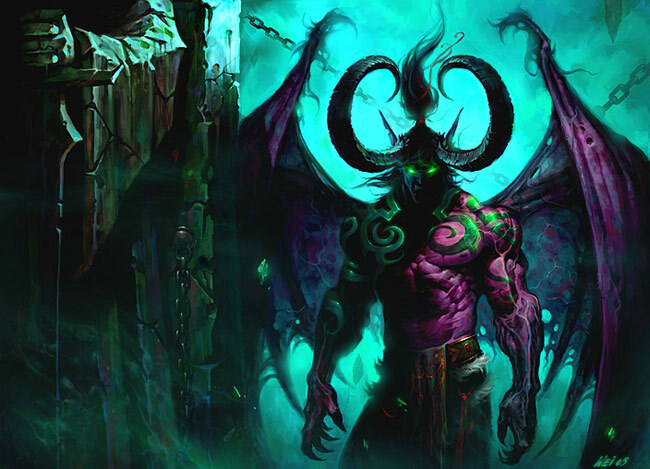 Illidan went from his human form, to flying and spawning adds, to a demon form, and back again. The elation you felt when defeating him was only secondary to the disappointment when you saw that the much-coveted Warglaives of Azzinoth didn't drop.